Looked after Erika while Chie was out for the evening. 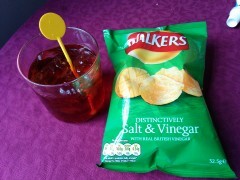 Negroni and crisps. 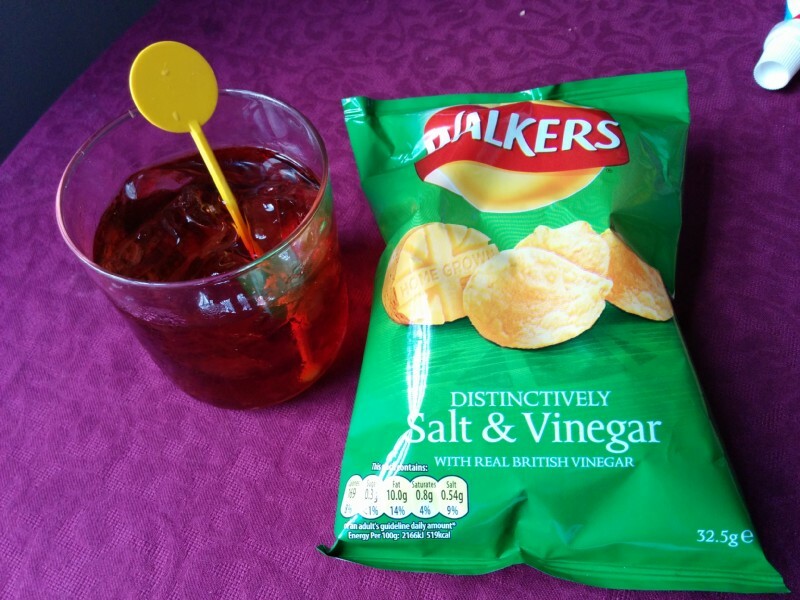 Didn't actually eat the crisps. 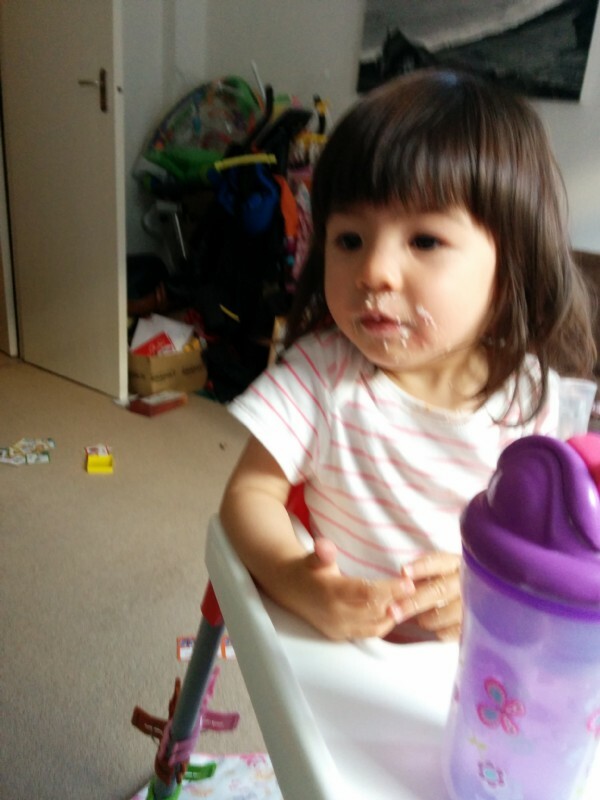 Erika has a messy face, I think macaroni cheese probably isn't meant to be eaten by hand.